On Saturday November 19th 2016, Officers stopped Morris Tallie for a traffic violation. Tallie had a passenger with him, Christopher Kirkwood. As officers were talking with them they were notified that each man had an arrest warrant for burglary. After the arrests, a search of the vehicle uncovered items that were reported stolen earlier in the week. Officers took the men to the police department and an investigator was called to interview them. After the interviews it was determined that the two had stolen items from Poplar Heights, Church Street and Murray Street within the city of Oxford. The suspects took investigators to a house on Campground Road where more stolen property was recovered. Almost all of the property has been recovered, the men have been charged and bond was set at $10,000 for Tallie and $20,000 for Kirkwood. On Friday November 25, 2016 officers responded to Faulkner Flats for suspicious people possibly trying to open car doors. When officers arrived they began walking the complex and made contact with two juveniles. When the officers approached, the juveniles ran on foot. A short foot chase ensued and both were caught. Once in custody stolen items from six auto burglaries were found in their possession. The property was returned to the owners and the juveniles were charged and released to their guardians. Armed Robbery – At approximately 10:00 PM October 10, 2016, officers responded to Esplanade Ridge for a reported armed robbery. The victim stated 3 black males entered his home through the back door, one male held him at gunpoint while the other two searched for narcotics and money. The victim reported that narcotics were not in the house but the robbers took his phone (which was recovered by police outside the residence) and $20. Investigators have taken over the case and it is ongoing. No one was injured in the incident, at this time no information is available on possible suspects. On Wednesday, November 9, 2016 investigators of the Oxford Police Department arrested Demarcus Carr (24) of Verona, MS for two counts of Armed Robbery 97-3-79. Demarcus Carr was accused of Armed Robbery on October 2, 2016 near East Jackson Avenue just east of the Square. Two victims stated they were robbed at gun point as they walked home from the square. Both victims’ cell phones were stolen. Neither victims were injured during the robbery. Investigators were able to track one of the phones to the Verona area. Investigators were able to identify the suspect after meeting with the victims. After a warrant was issued Carr was picked up on a traffic stop near Verona. Carr was booked and his bond was set at $50,000.00 he is also on hold for MDOC for a previous narcotics charge. 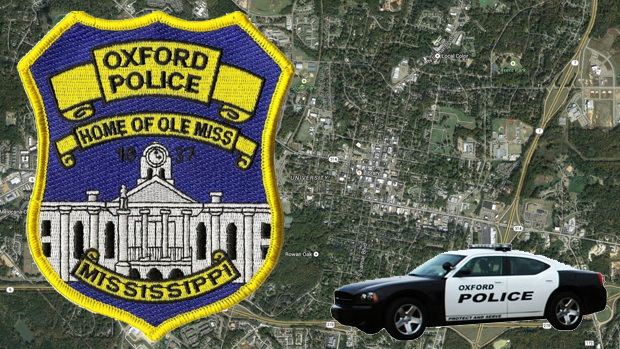 On November 6, 2016, officers with the Oxford Police Department were dispatched to Grandma Slackers on Jackson Ave for a burglary. The suspect entered the building through a window. After taking the initial report and leaving the scene, a white male came to the store with cuts and blood on his shorts. The shop owner called for the police to return and the male who was identified as Samuel Lovitt was taken to the Oxford Police Department for questioning. Investigators were able to determine that Lovitt and Adam Lopingo broke into the business. Both were arrested and given a bond of $10,000. All of the stolen merchandise, glass pipes and bowls valued at $1,820.00, was destroyed by the suspects. On Sunday 6th of November, 2016, Oxford Police Officers arrested Tamara Stewart 41, of Clarksdale, Ms. This was a result of Loss Prevention of Walmart calling the Police Department advising that the subject was inside of Walmart taking multiple items off the shelf and putting them inside of garbage cans throughout the store. Oxford Police Officers were waiting outside the store when the subject exited with the stolen items. Bond was set $2,500.00. On Sunday 6th of November, 2016, Oxford Police Officers arrested Demitrius Conner 42, of Clarksdale, Ms. This was a result of Loss Prevention of Walmart calling the Police Department advising that the subject was inside of Walmart taking multiple items off the shelf and putting them inside of garbage cans throughout the store. Oxford Police Officers were waiting outside the store when the subject exited the store with the stolen items. Bond was set $2,500.00. On November 1, 2016, a victim of credit card fraud came into the Oxford Police Department. The victim had multiple purchases made from her credit card that was fraudulently used without her permission. The suspect was identified as Nijah Fields, she ran up over $3,000 worth of charges. After she turned herself into the Oxford Police Department she was taken before a Justice Court Judge and a bond of $15,000 was set.